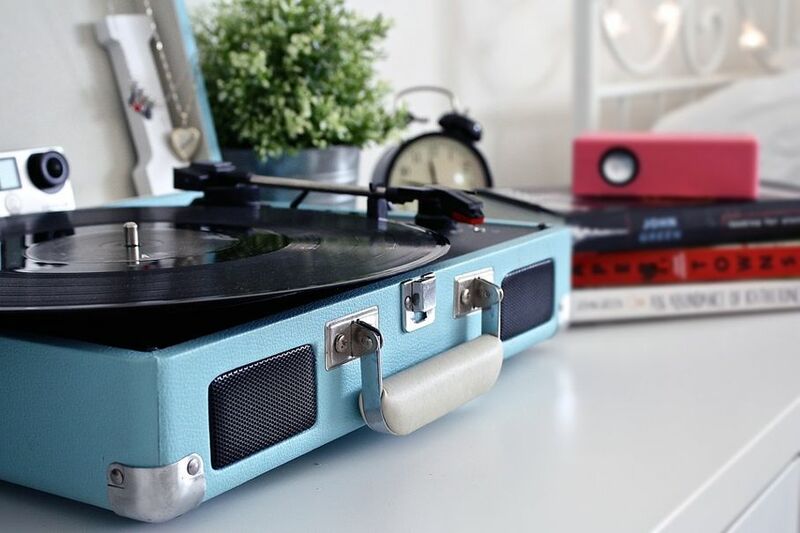 Vinyl records are a great addition to your home, and with a little planning, it can be the talk of your living room! Collecting is a common hobby that you might’ve tried your hand at, and while the type of collections can vary, the practice of building an assortment of vinyl records has become popular. If you adore past eras that saw swing music and the birth of rock & roll, having a stash of older music on vinyl is an intriguing concept that can have you searching online and through flea markets for the perfect additions to your collection. Should you try your hand at collecting vinyl, it makes sense to want to display your records in a way that catches someone’s eye, given the time and effort it took to attain them. To do exactly that and make your vinyl the stand-out piece of your room, try these four steps to showcase your love of records. There are several types of record players that come with a vintage feel because they’re from those older eras that gave us the music most often associated with vinyl. In contrast to the more modern designs, these older players can have a more stand-alone structure, whether they’re floor models or suitcase players, along with horns and wind-up bars, if the machines are old enough. These little details can reveal an appreciation of vinyl that reaches back a century or more since you’re reaching into prior decades for your style of player. To get an authentic player like this, you might have to do some online or flea market shopping, and you could end up spending hundreds of dollars on this one item. If that’s too high for your budget, don’t worry! You can buy brand new replicas of some of these players for less than $100 — like the suitcase option. It wouldn’t be vintage, but it would look vintage! If you want to draw someone’s attention to something, it helps to make the method of displaying so unique that the person almost has to look there. For records, this is an easy thing to do since they’re small. 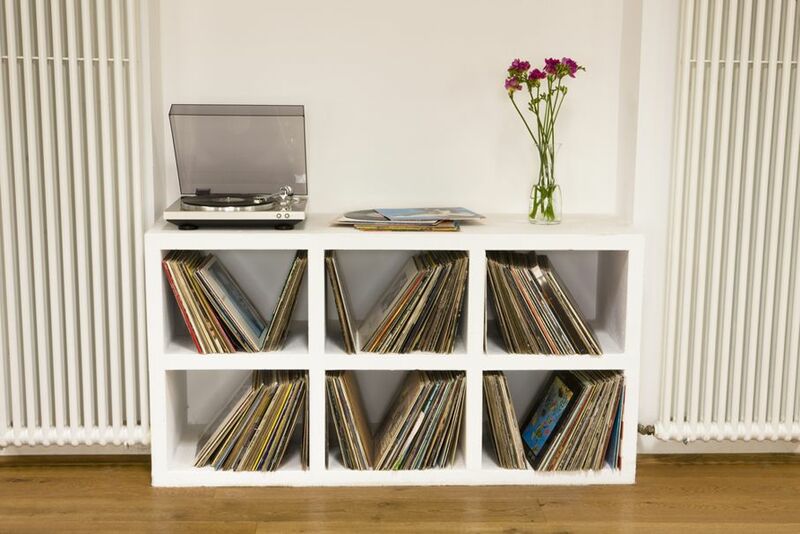 If pressed, for instance, a bookshelf could work for storing your vinyl collection if you place them horizontally rather than vertically, but if you want your collection to have more pop, think a little outside of the box! Or, more accurately, you might want to think in the box — or suitcase! 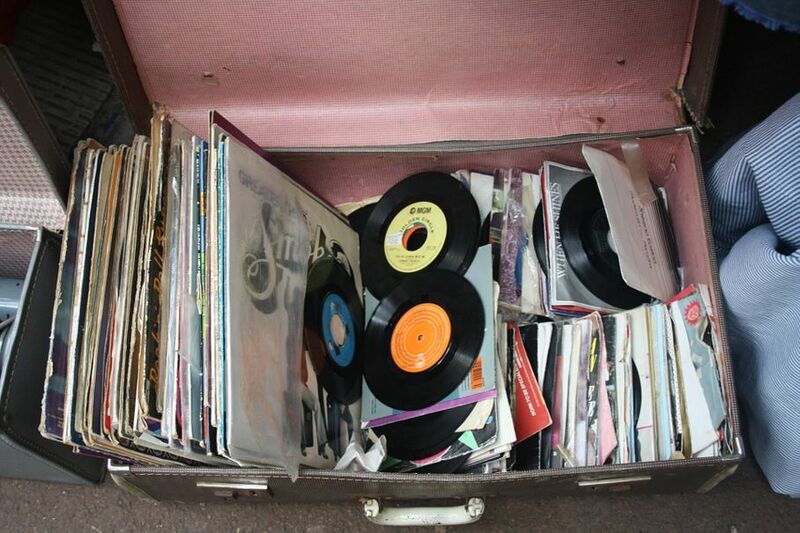 Since suitcase players are popular, it’s fitting to keep your vinyl collection in a suitcase to match the theme. It boosts the effect of having that suitcase player, and the choice of display is so unique that people are bound to ask questions or make comments. 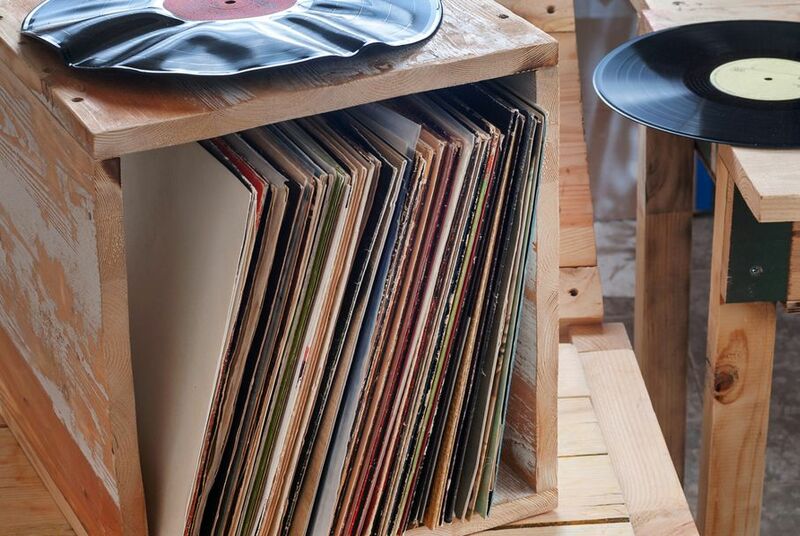 If you don’t have a suitcase you want to use for this purpose, you can also choose crates or boxes to store your records on end tables in ways that mimic what you’d see in a record shop. This way, the entire living room is grounded in a vinyl feel that practically demands attention. Keep in mind, though, that vinyl records can warp, get static, and become scratched. For these reasons, circulate which records are in those boxes and crates so that the slanted stance doesn’t warp them, and be sure that even though the suitcase method can look messy, the records are always in their folders or containers and lying flat. This way, you’re minimizing your chances of damaging your vinyl so you can hold on to your collection longer. Another method of showcasing your vinyl that’s bound to draw attention is to collect them all in one area — like one large piece of furniture that’s built to hold all of your records. This method is particularly impressive once you’ve built up a series of vinyl records for a couple of reasons. For one thing, you might find that you have too many records for the crates and suitcases to sensibly contain them. For another, seeing your vinyl collection assembled in such a specific fashion instantly gives your guests a moment to awe over your collection because it looks so full — and almost daunting. Think if of it like a garden. Anyone can have one plant, but if you have a sizeable garden constructed in the center of your yard, it’s likely going to catch more interest than the single flower by your front porch. It’s the same principle with your vinyl. If you have 2,000 records on one piece of furniture, the impression it leaves on your guests is instant and impressive. As your vinyl collection builds then, think about that one piece of furniture you’ll use to spark that immediate feeling of amazement. Don’t underestimate the importance of accessories in home décor — ever! For your record collection, this idea is completely valid since records can automatically take people back to another time. It makes sense to decorate that flashback with other things that are fitting for the journey. You can accomplish this by obvious choices like a vintage phone, but don’t stop there! Think about your music collection, and try to come up with ways to showcase the specific styles and artists that are included. This way, guests wouldn’t have to guess what kind of music they’d encounter if they browsed your vinyl. Just by looking at these accessories, they’d have an idea. 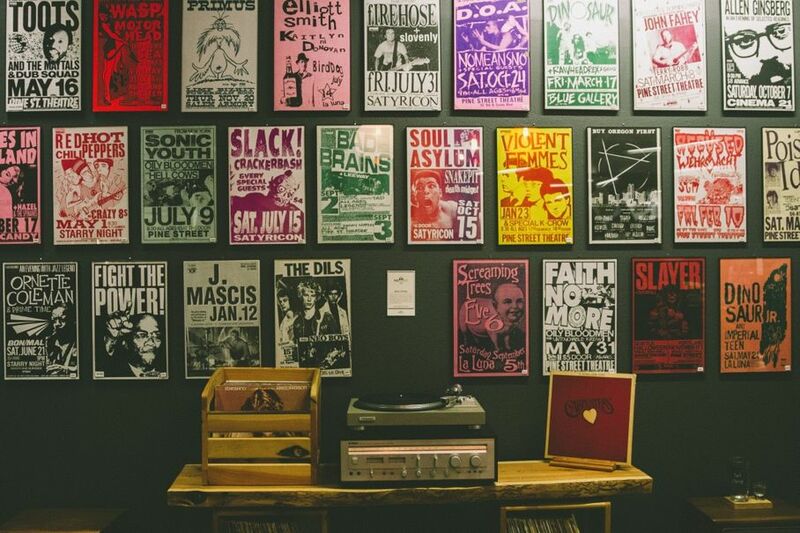 Whatever method you choose to accomplish this — an Elvis Presley clock or a series of band posters — deciding to take this extra step shows how much you adore your music, and it functions as a catalog of your vinyl collection to give your guests specific artists and bands to strike up a conversation. 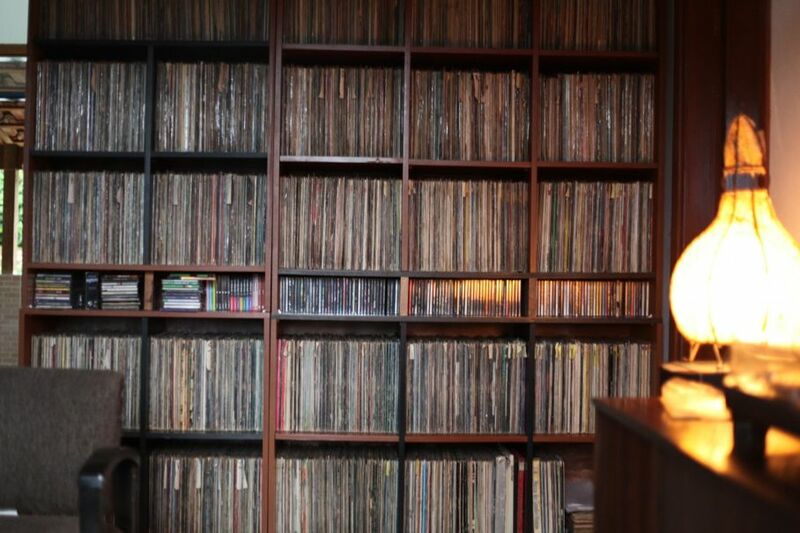 If you take the time and effort to build a large vinyl collection, don’t let it go unnoticed! Rather, choose the right display method, pick out a great player, and represent your chosen artists in your room’s accessories. The result will be a room that’s built around your vinyl collection, making your music taste stand out as much as possible!